With school starting up I thought it might be fun to highlight a great back to school book for little ones... mostly because I have my own little one who will be starting pre-school this year. 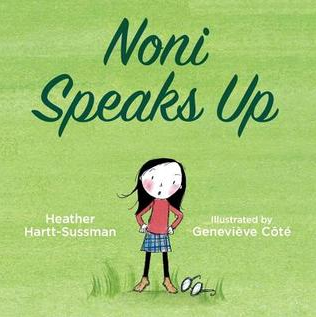 Tundra books was kind enough to send me "Noni Speaks Up" and I think it's the perfect book for starting the discussion of bystander bullying and bullying in general. "Noni Speaks Up" follows the story of Noni, a good girl who always tries to do what's right, from opening doors for pregnant ladies, to giving up her seat on the bus. But when her friends start making fun of a boy at school Noni suddenly finds herself tongue tied, afraid to speak out against her friends even though she knows what they are doing is wrong. Noni wants to speak up but she's afraid of what it will mean for her. Will her friends make fun of her? Will she have to sit alone at lunch? Will she have any friends? In the end her conscious gets the best of her and she stands up to her friends telling them what they are doing is wrong, and to her amazement they are the ones tongue tied. I really love this book. I love the message in it and I love the idea of talking to my son about these issues now so that if he ever is in a similar situation he will be prepared to deal with it. Anti-bullying is so important and this book is a fantastic way to talk about not only the bully and the child being bullied, but also those standing by that can play an active role in stoping the bullying if they are willing to speak up. 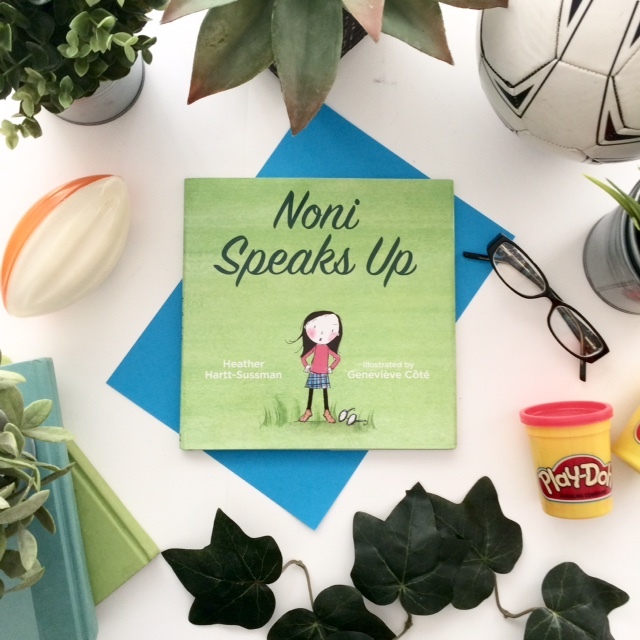 I would highly recommend "Noni Speaks Up"